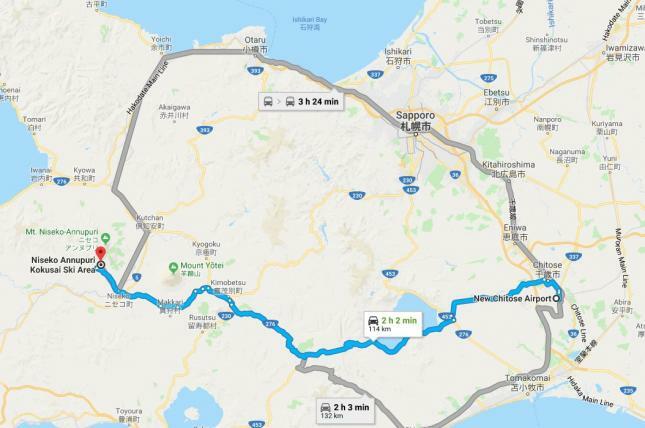 Located approximately 120kms or 2.5 hours drive from the New Chitose Airport the Sekka Lodge is sat right at the foot of Mount Niseko Annupuri and adjacent to the Annupuri Ski Resort. You can access the Sekka Lodge via private and standard shuttles departing the New Chitose Airport and Sapporo City, JR Train services departing the New Chitose Airport, or via private rental car. Guests arriving via Airport or Sapporo City shuttle buses will arrive at the nearest drop off point - the Northern Resort Annupuri. A complimentary pick up is provided by the Sekka Lodge at the Northern Resort. Guests arriving via private transfer or rental vehicle will find the Sekka Lodge Annupuri address and contact details listed in the contact us section of this website.